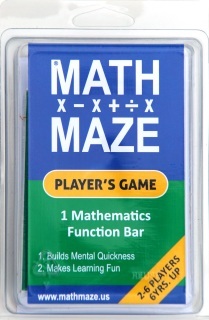 One of the 3 Mathematics Function Bar in this game set allows the game to played focusing on addition and subtraction. Another Mathematics Function Bar allows the game to be played focusing on multiplication and division. The Third Mathematics Function Bar allows the game to be played using all four operations. This way you can start your youngest players focusing on addition and subtraction and move them to multiplication and division when they are ready. The Math Maze Mastery Game helps players master positive/negative integers, and fractions. 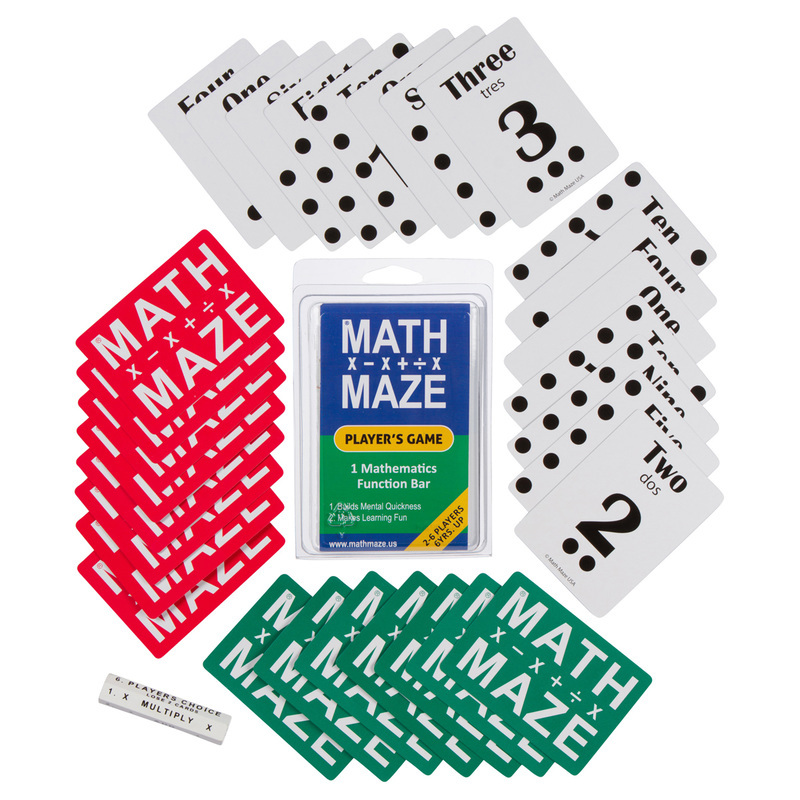 Game includes Level 1 whole number cards, Level 2 positive/negative and fraction cards and 1 Mathematics Function Bar that includes addition, subtraction, multiplication and division. 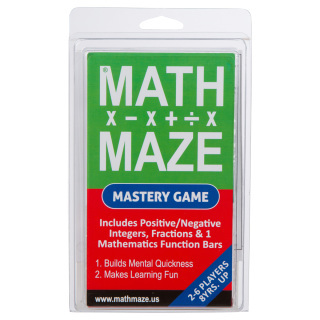 This game set is for advance players who can add, subtract, multiply and divide positive and negative values, the challenge is to play Math Maze with positive and negative values and fractions. The Math Maze Players game helps players sharpen skills and build mental quickness. 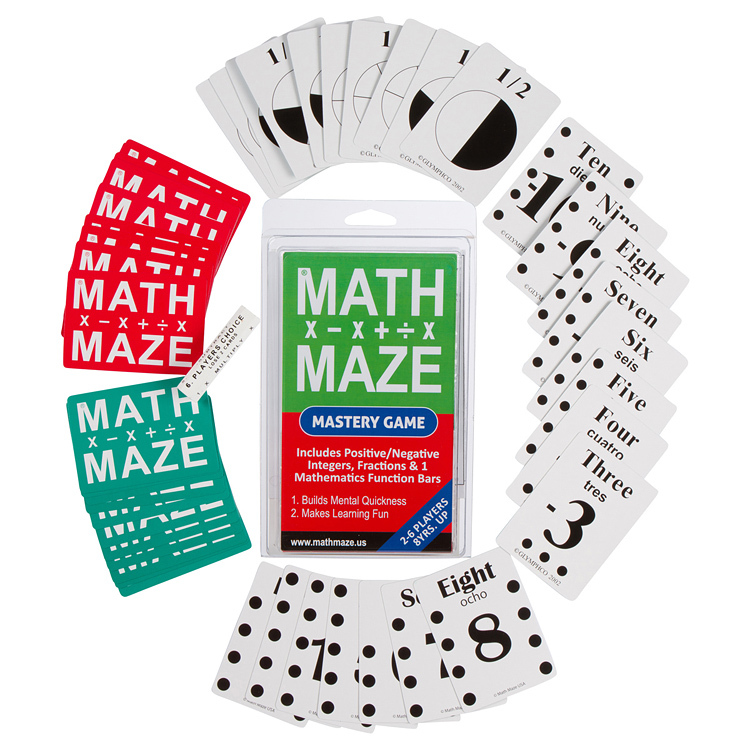 Game includes Level 1 whole number cards and 1 Mathematics Function Bar. 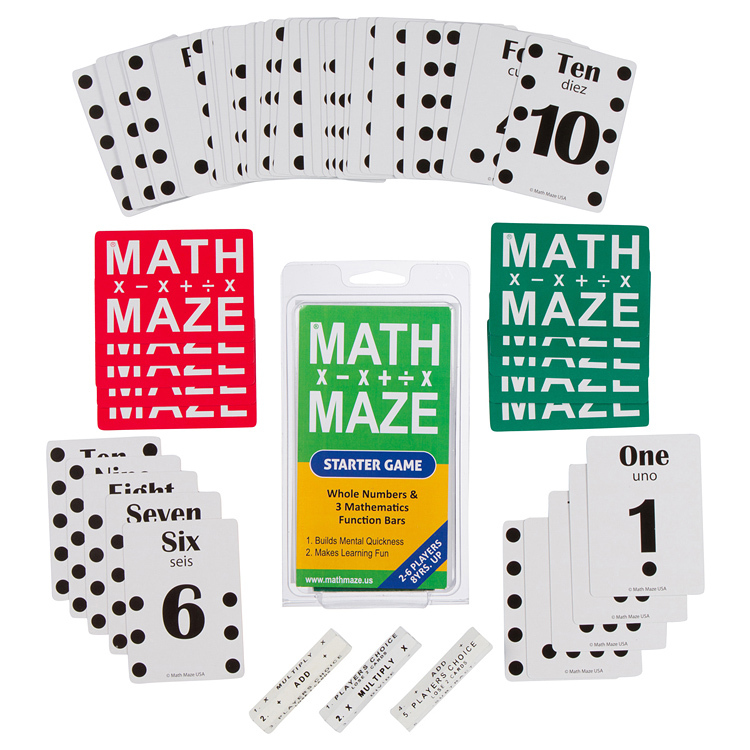 This game set is for players who already know how to add, subtract, multiply and divide. Purchase today and receive a ninety day money back guarantee. For years researchers have identified several factors - peer tutoring, scaffolding and engagement - that increase student performance in mathematics. And while games have also proven to be effective in getting students engaged, there has not been a game that is significantly different until now. Math Maze is a game that uses these identified factors in a very different way. For instance, the use of peer tutors implies that one student is good enough at math to show another student how to do it. What is implied, but not spoken, is that the peer tutor is the smart one and the one being tutored is not. Math Maze uses this idea in a very different way. All players, whether proficient in math or not, will have the opportunity to tutor each other. In other words, all of the players are tutors and this is structured into the game. As all players watch the one who is tasked with solving the problem, the cards used to solve the problem are visible to everyone and each player can contribute their solutions. This means that each player can see what the possibilities are and help the tasked player identify them. This process also meets the definition of scaffolding. All players help each other improve the computational skills, because they offer help without singling out one person as a failure or loser. 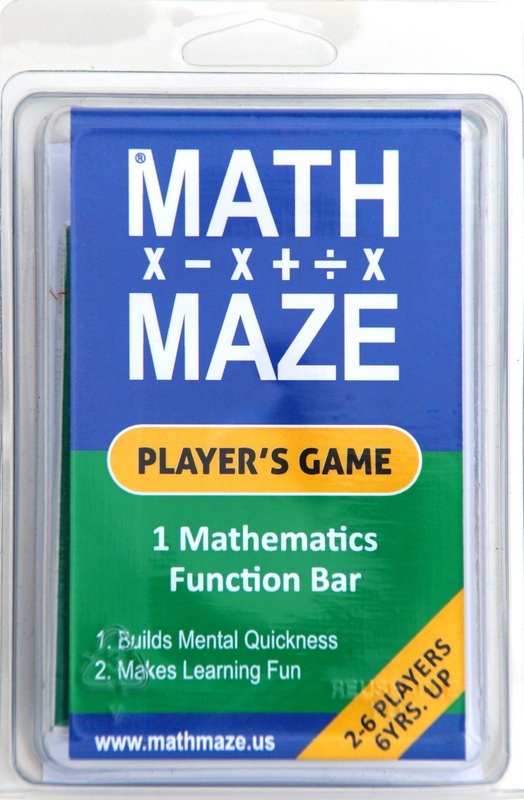 Math Maze does something else that is quite remarkable – it promotes engagement in the process that is all encompassing and fun. All of the players are talking, computing, and laughing and they all feel that they can do the math. This is peer tutoring that defies hierarchy and builds self-esteem. Scaffolding that is intentionally helpful with engagement and camaraderie that builds support could just be the elements missing from the learning picture and the key to closing the achievement gap. It’s a truly great game for families, classrooms and whole schools. We recommend grade level, school wide, and district wide tournaments. Math Maze game tournaments add excitement and help motivate all learners. I love this game! I have a math-challenged child and a math lover in my home. We all enjoyed this game. My favorite part is that everyone gives the answer to the equation. So, if a player doesn't know the answer, he is not put on the spot to find it. He simply has to find a way to form the answer with his cards. It's a great way to bring some math fun into your school day while practicing math problems. The packaging is a small plastic box that holds the decks of cards and the function rods. Overall, if you are looking for a new, fun way to practice math problems, this game may be just what you are looking for! I have had the pleasure of working with Mr. Ron Glymph for the past two years as a math consultant to the district afterschool program. Mr. Glymph has been a valuable member to the afterschool family. He has willingly volunteered his time and passion for math to our district as both a trainer for staff and a workshop presenter for parents. His passion for math is infectious and he leaves an indelible mark on students that he comes in contact with. I am looking forward to continuing my relationship with Mr. Glymph and the Math Maze game that he invented. I have been a supporter of the Math Maze Game System for some time and have had the unique opportunity to watch its development and evolution. I do not believe I have taken the time to let you know what an extraordinary product I think you are offering to children and families, so I am writing you in an effort to correct that oversight. I am a Family Therapist that understands the importance of self-esteem in the lives of children and too often I have seen students lose the ability to see themselves as successful. Mathematics is an area where the lack of self-esteem or the ability to find worth in your accomplishments is all too prevalent. 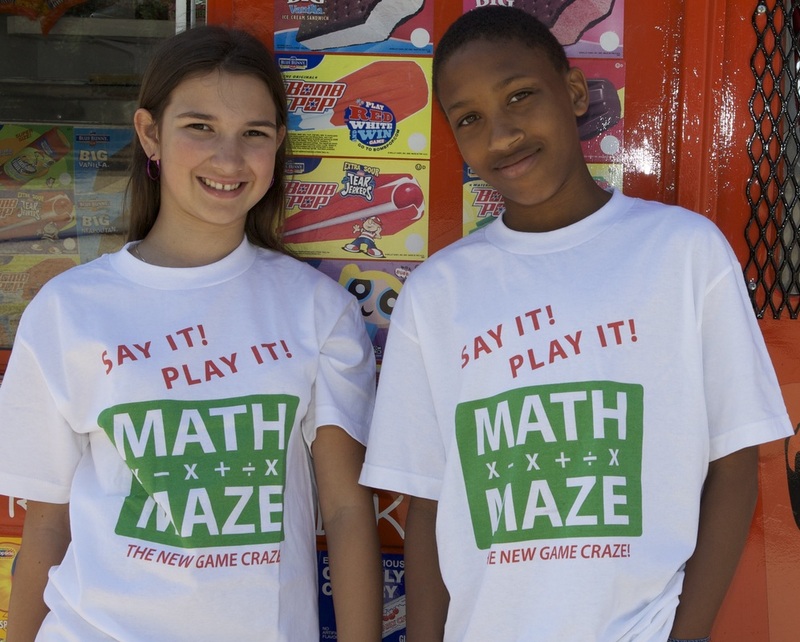 Math Maze has found a way to help children feel that they can be successful in mathematics through engagement and excitement about their abilities. I have watched as children played the game and saw first-hand how they lost their fear of appearing “dumb” and became very active in playing the game. Children not only played a math game with confidence, they were able to help others play the game and all while having fun. Children began to believe that they could be successful in math and I could see self-esteem increase right before my eyes. I should also note that when I saw parents playing the game with their children, everyone enjoyed the interaction and adults said they were learning too. What a wonderful tool you have developed! 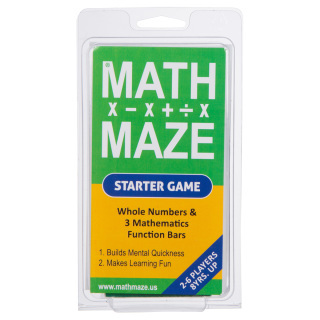 I highly recommend it to everyone who knows children who are struggling with math and I would encourage them to join in the fun and play Math Maze with the kids. School district purchase orders welcomed on approval. The Math Maze Starter Game helps players master the basic operations of addition, subtraction, multiplication and division of whole numbers. 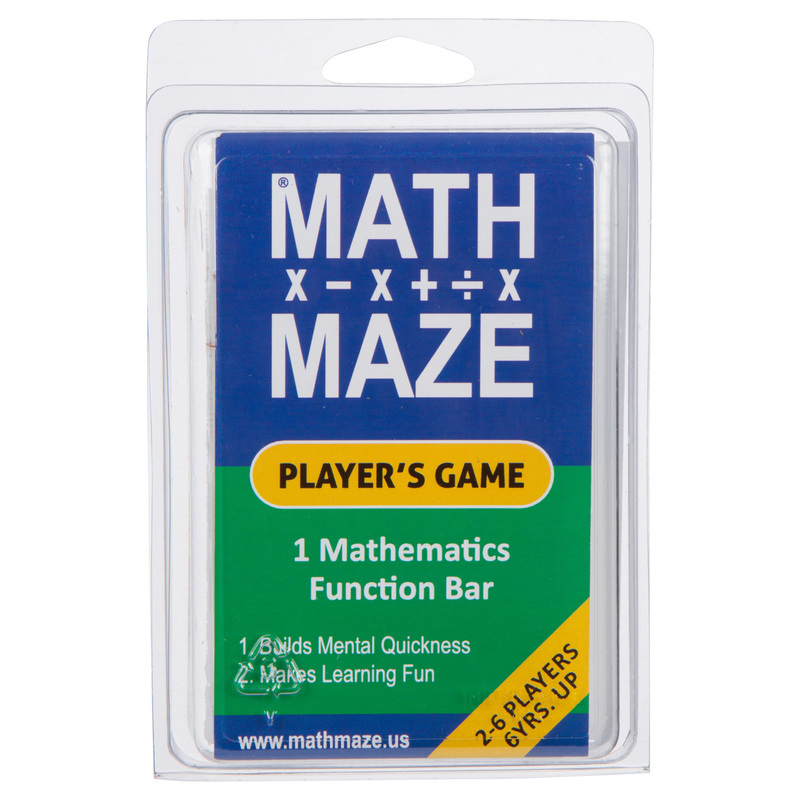 One of the 3 Mathematics Function Bar in this game set allows you to play Math Maze focusing on addition and subtraction only. Another Mathematics Function Bar allows the game to be played focusing on multiplication and division only. The third Mathematics Function Bar allows the game to be played using all four operations. This way you can start your youngest players focusing on addition and subtraction and move them to multiplication and division when they are ready. 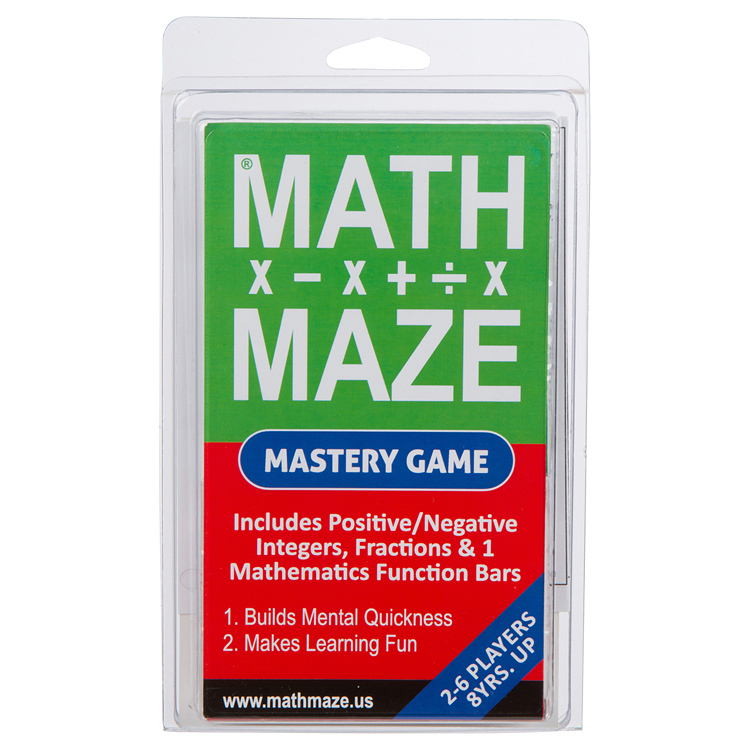 Game includes Level 1 whole number cards, Level 2 positive/negative and fraction cards and 1 Mathematics Function Bar. 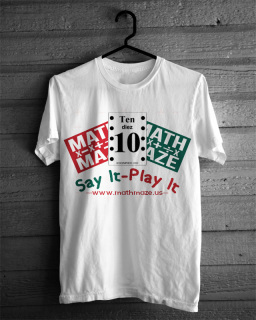 Math Maze "Say It Play It"